The ALBA Cultural website, titled Cultures of Our America, was presented in this capital, aimed at providing a space for the dissemination of indigenous values and traditions of the region. 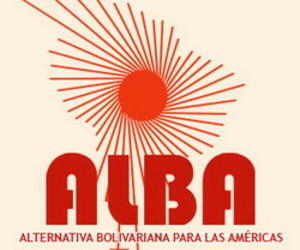 According to national media today, the initiative was presented on the occasion of celebrating the 8th anniversary of the creation of the Bolivarian Alliance for the Peoples of Our America (ALBA), aimed at reflecting the work of intellectuals, creators, and artists from Latin America and the Caribbean. The website also aims to include cooperation from all ALBA members, and present the events from the point of view of the area itself. Deputy Culture Minister Fernando Rojas considered the project to be a challenge, and called to increase efforts to make it a living digital space, position it by all possible means, and help it gain an identity, with unique and exclusive offers. For his part, Rafael de la Osa, director of the Computing Center for the Cuban Culture website, said the site offers the possibility to post videos, audio, photo galleries, news, articles, interviews, briefings, and links with other websites. The site is multilingual, with Spanish and English languages predominant, and is working to include Portuguese. The website address is www.albacultural.org.